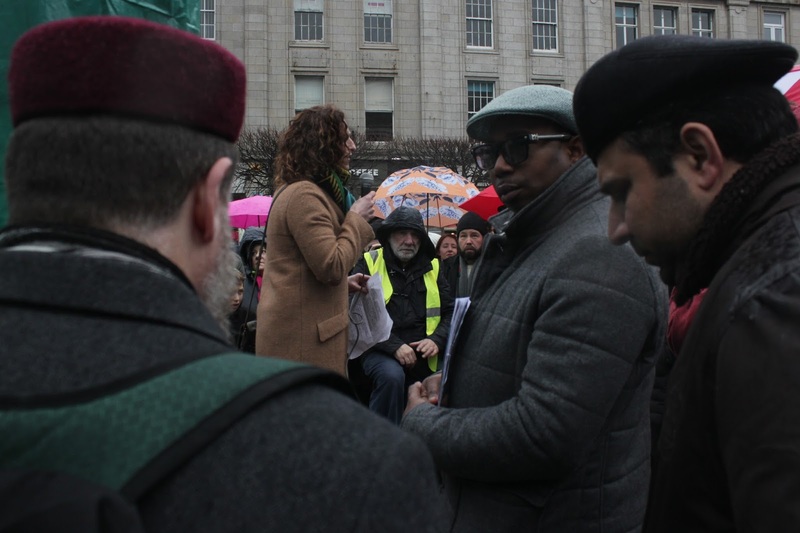 Sinn Féin MEP Lynn Boylan address a group of anti-racism protesters as well as religious leaders on O'Connell Street, Dublin city centre, 6th of February 2016. 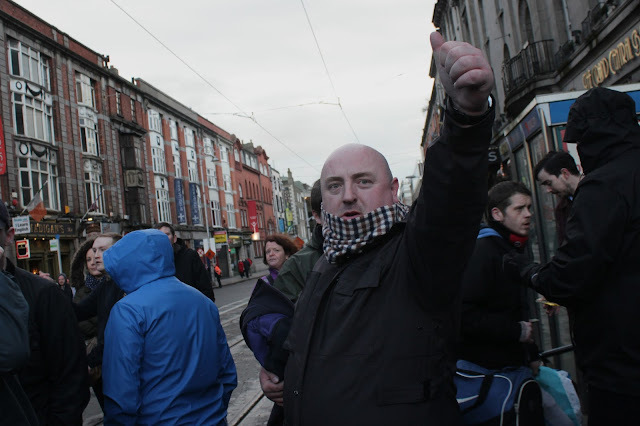 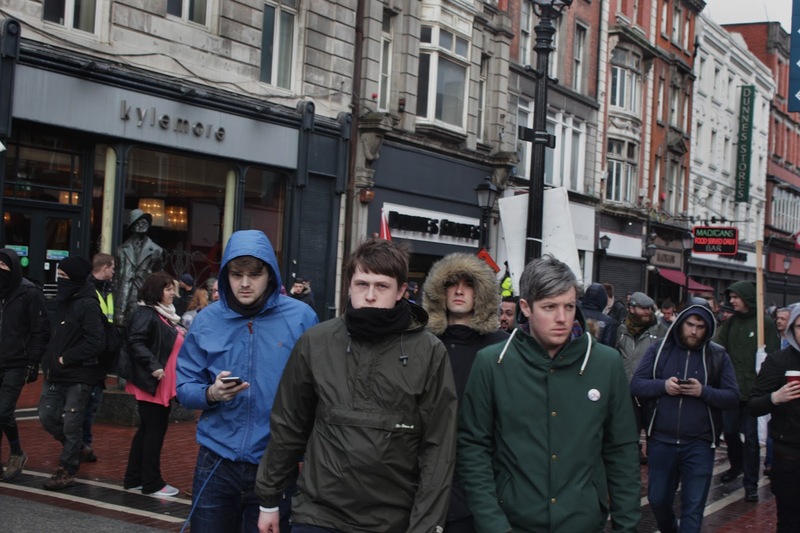 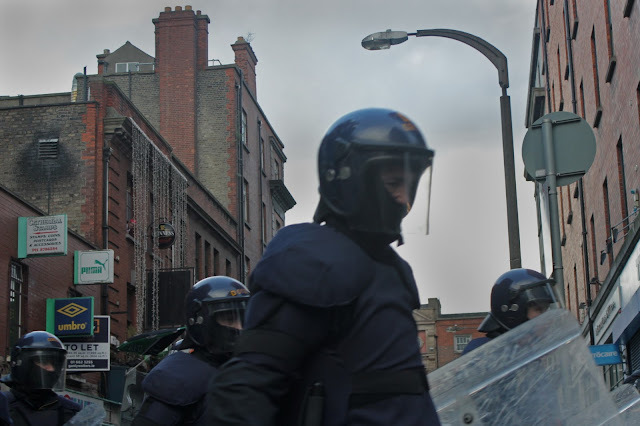 Members of the Garda Public Order Unit were deployed to keep anti-Pegida protesters and Pegida supporters separate as scuffles broke out between the two groups. 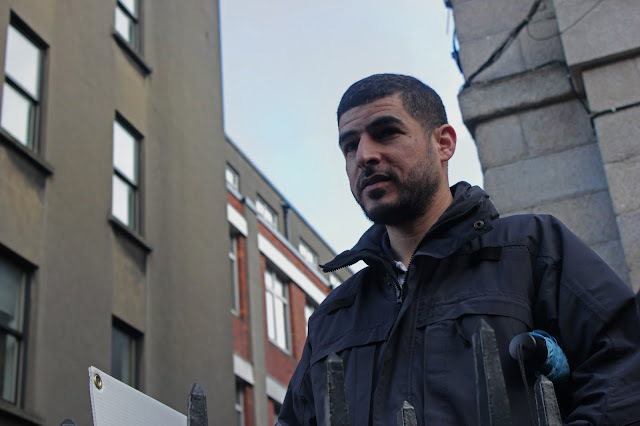 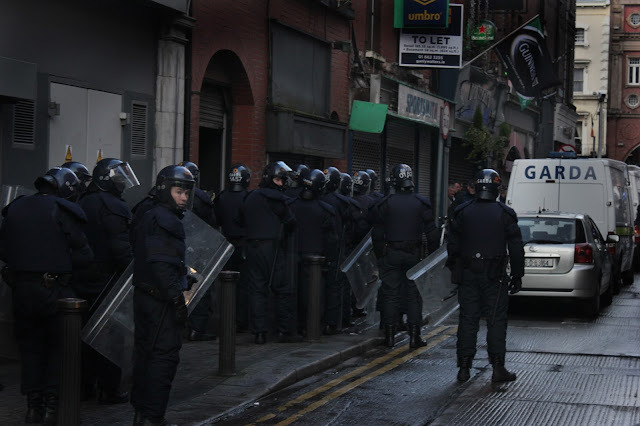 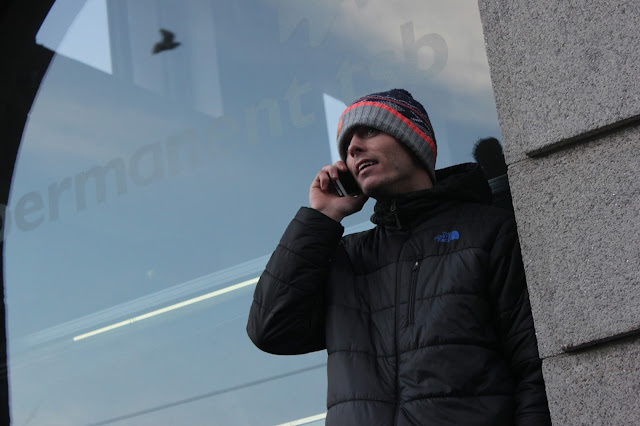 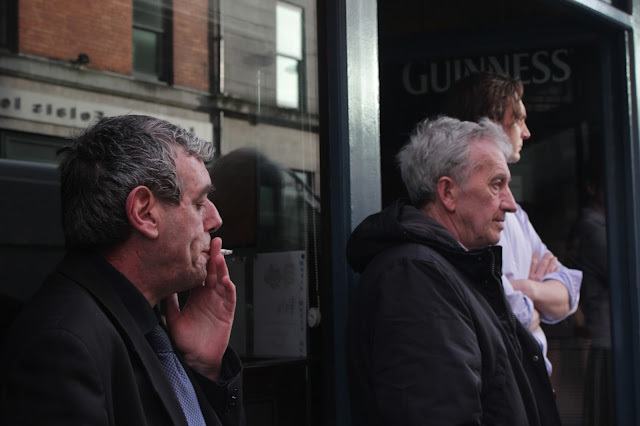 Members of the riot squad deployed on Cathedral Street, Dublin city centre, after a number of Pegida supporters entered and refused to leave a pub on the street.